Twitter has announced it is to partner with U.S. retailers to help them sell products directly, through a “Buy Now” button in tweets. Youtube is set to improve the customer retail experience with the launch of a new ad unit, Shopping ads. This is the next step in the development of its ecommerce offering, following the launch of shoppable ads in May 2015. 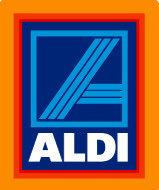 Aldi has announced it plans to launch online shopping in 2016, taking on Tesco, Sainsbury’s, Asda and Morrisons in ecommerce, as the discount supermarket reported record UK sales. 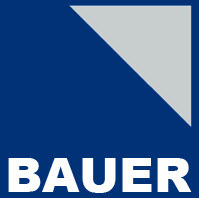 Bauer Media has announced the launch of a new ecommerce platform, Dabbl, as part of its ongoing investment into digital products. Inflexion is to sell its stake in UK based multi-channel home shopping retailer Ideal Shopping Direct to fund manager Blackstone. House of Fraser has reported that its ecommerce sales grew by 30.8 per cent to represent 17.5 per cent of sales, during a half-year that saw innovation across channels. The latest figures from the Office of National Statistics show online sales up 7.4 per cent for August, year on year. This was the 29th consecutive month of year-on-year growth. Global B2C ecommerce of goods and services continued to grow significantly in 2014, with an actual growth rate of 24 per cent in 2014, in line with preceding years. While lower growth is expected in 2015, it’s still expected to show double digits (at 16 per cent). More than four fifths (83 per cent) of UK-based brand marketers find measuring the impact of branding more challenging than measuring the impact of direct response, according to a new survey from Visual IQ. The latest figures from the IMRG Capgemini e-Retail Sales Index have revealed that UK online retail sales were up just 5 per cent year-on-year in August and down 6 per cent on July. Although the good news is, the Index has still seen an increase of 10 per cent in 2015 so far. According to the latest report from ZenithOptimedia’s Advertising Expenditure Forecasts, advertising spend on digital could outstrip TV advertising by 2018. 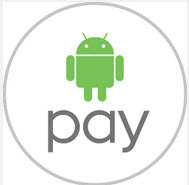 Google is rolling out a new ‘Android pay’ service across the US.